As the first track Ariana teased for this album, “Imagine,” deserves it’s spot as one of the best. It highly emphasizes Ariana’s vocals and makes the rest of the album look very promising. Ariana sings “Needy” in a different style, a different tone of voice and I am totally here for it. She confessed on the Zach Sang podcast that the track is about herself and not anyone else. I like the honesty she brings with a song like “Needy.” Again, one of her catchiest songs and a personal favorite. “This is one small step for woman, one giant leap for woman-kind.” By far one of the best quotes from this album, and it comes from this song. I wouldn’t be surprised if “NASA” turned out to be one of Ariana Grande’s most iconic songs. My #1 favorite track from this album. This is the type of song that hooks you in on first listen. You could listen to it once and immediately fall in love with it’s repetitive yet catchy lyrics. 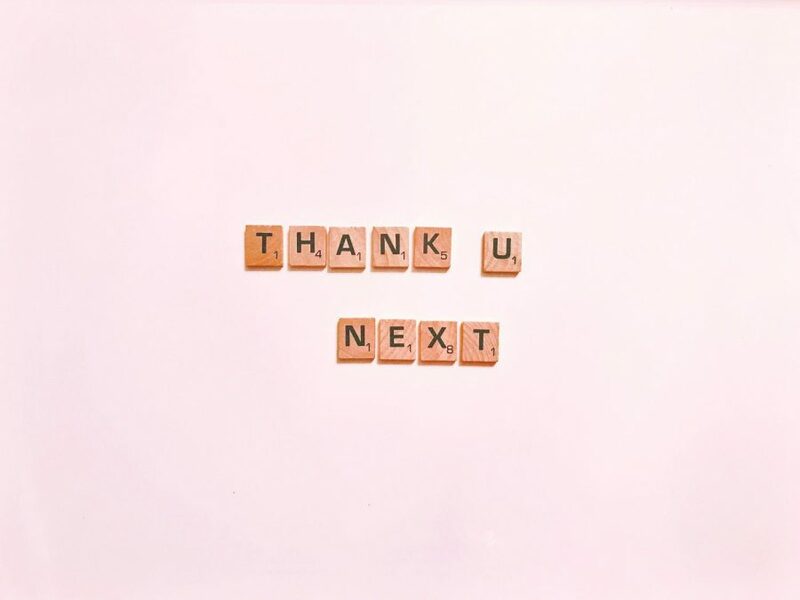 This is one of the most popular songs from “Thank U, Next” and it really does deserve all the hype it’s been getting. The initial hook of the song and the instruments used for the chorus definitely make it a track that’s worthy of keeping on repeat. This song is quite catchy, but it isn’t a personal favorite of mine. “Fake Smile” has it’s own unique charm but I wouldn’t classify it as being as good as many of the other songs. It’s similar to “Make Up,” it’s a good song but not the best. This has to be my favorite song after “Bloodline.” This album has so much variety, especially when it comes to the background instruments. “Bloodline” uses brass instruments whilst “Bad Idea” uses orchestra instruments, which really makes the track more unique and beautiful. For me, “Make Up” is a good song, but there’s nothing that really makes it stand out from all of the other killer songs from this album. It’s good, but it isn’t the best. It just can’t win over bops like “Fake Smile” and “In My Head.” If I were to rank all of the songs I’d have “Make Up” at the bottom of the list, but it still is fine to listen to every now and then. What this song would be known for is the extremely high-pitched note Ariana manages to reach in it. It leaves everyone speechless and makes you question if someone’s voice is even able to reach a note that high, yet Ariana kills it and adds her own special touch to “In My Head” by doing so. This song gives us a fresh, new kind of vibe from Ariana. No one expected her to release an urban-influenced bop such as “7 rings.” Who knew she could rap? Well, she can do everything now and she proves it in this track. The music video itself is very aesthetically pleasing and the song is highly addictive, even to non-Arianators alike. Despite all these plagiarism accusations she’s been getting for “7 rings,” it is still seen as one of her best songs and it’s only rising in popularity, despite the controversy. What’s to be said about “Thank U, Next” that hasn’t been said already? It’s genius, it has a stunning music video, an addictive tune, unique lyrics and chill vibes. It was bound to be one of her most successful songs. Ari knew exactly what she was doing by releasing “Thank U, Next” as her first single from this album. The first time I heard this song, I didn’t like it that much. But after a few listens, it just tends to grow on you. This is the type of song that gets better and better every time you listen to it and I know others feel the same about it. Overall, this album is truly a masterpiece and I’d highly recommend everyone to listen to it if they haven’t already. More and more people that aren’t even fans of Ariana Grande have fallen in love with “Thank U, Next.” It is truly amazing and entertaining to listen to and it’s one of those albums you have on all day and never get sick of. Ariana and her team worked very hard in a short amount of time to release a top-notch, high quality album.